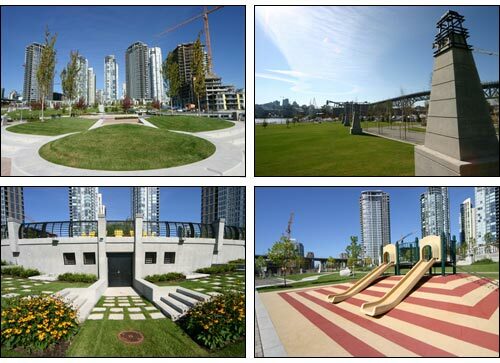 This beautiful 2.5 hectare waterfront park boasts formal and informal spaces, expansive lawns, a dramatic water feature and spectacular views of False Creek and the city. 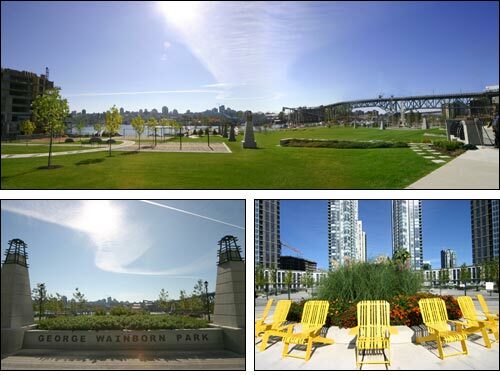 The park is named for Vancouver's longest serving Park Board Commissioner, George Wainborn, who contributed to the City's parks and recreation system for 33 years between 1956 and 1990. 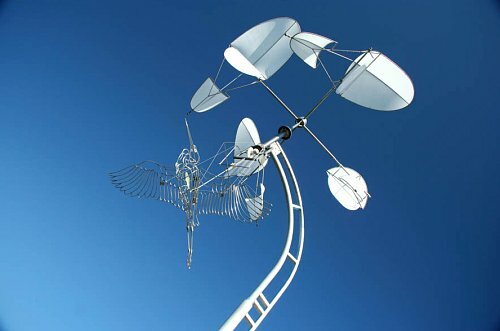 In July 2006 a 40 foot tall wind sculpture entitled 'Khenko' was installed at the bottom of the park. 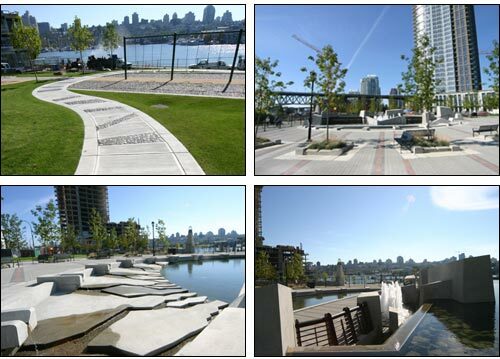 It was designed and built by artist Doug Taylor and was a gift from Concord Pacific Group Inc. dedicated to British Columbia’s former Lieutenant Governor, David Lam. 'Khenko' is a Coast Salish word for 'heron' and the sculpture celebrates the return of this bird species to the once industrialized False Creek.